Okay, I admit it. I'm tired of this winter. This has been one of the most miserable winters ever in the northeast. Frequent snow storms were bad enough, but the last two storms were mostly heavy-to-shovel ice. It makes me wish I was in the Sunshine State, if only for a week just to get a break. So in this installment of my ramblings, we're going to visit Florida. One of my favorite locations is on the Florida East Coast at the town of Stuart (above). 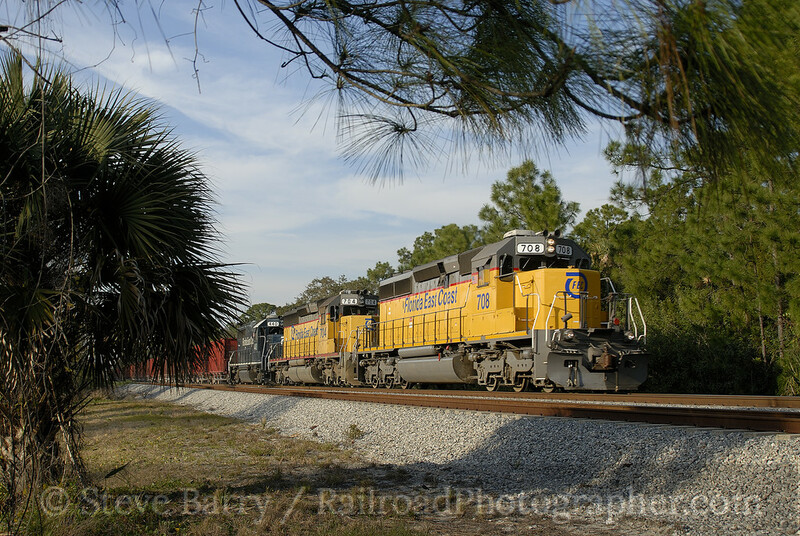 Old U.S. 1 provides this nice view of a northbound FEC ballast train. The bridge behind the train is new U.S. 1, which sports a nice walkway that makes train photography in the morning a real treat. 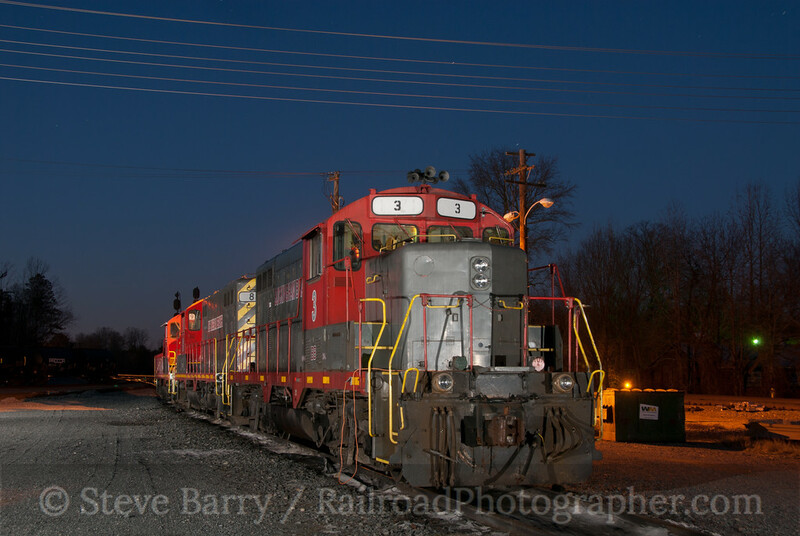 The Florida East Coast has the disadvantage of being a night-running railroad. 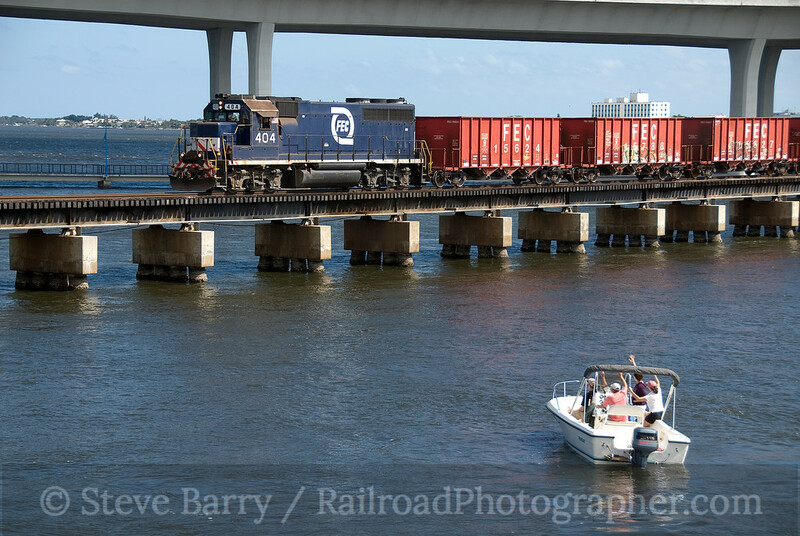 Trains depart their originating locations at opposite ends of the railroad (Jacksonville and Miami) in the early evening, arriving at the counterpart terminal the next morning. While southbounds coming into Miami are shootable, northbounds approaching Jacksonville are against the sun for most of the year. There is one place, however, where northbounds are perfectly lit -- the bridge in St. Augustine directly adjacent to U.S. 1. Here trains break sharply to the east to cross the bridge, then swing back north for the final miles into Jacksonville. The FEC used to be headquartered in St. Augustine, and their former office buildings can still be seen (above to the right of the train). The buildings are now a part of Flagler University (named for Henry Flagler of Florida East Coast fame who built the Key West Extension). The FEC picked up some nice SD70M-2s a few years ago. 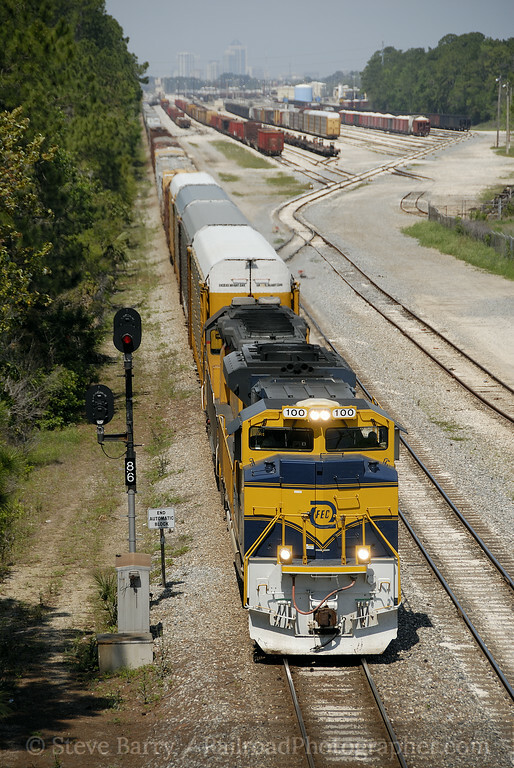 For several years there was an early-afternoon southbound that departed Bowden Yard (Jacksonville) and it often had one of the new units leading. At right we see the class unit, No. 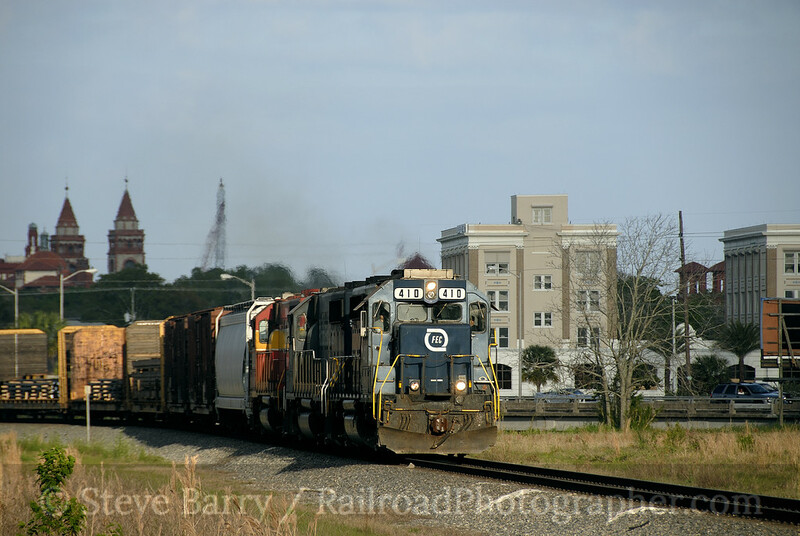 100, leaving Bowden Yard with the Jacksonville skyline off in the distance. I made it to Florida in 2007, 2008 and 2009, but missed out last year. The FEC has become a little easier to shoot thanks to ATCS Monitor, a program that lets you see where trains are on the railroad -- all you need is the ATCSMon software and an internet signal. Despite having ATCS Monitor in 2009 we still missed a train. The winter weather here in the north has me thinking Florida again, and next month I'm planning on getting back down there. 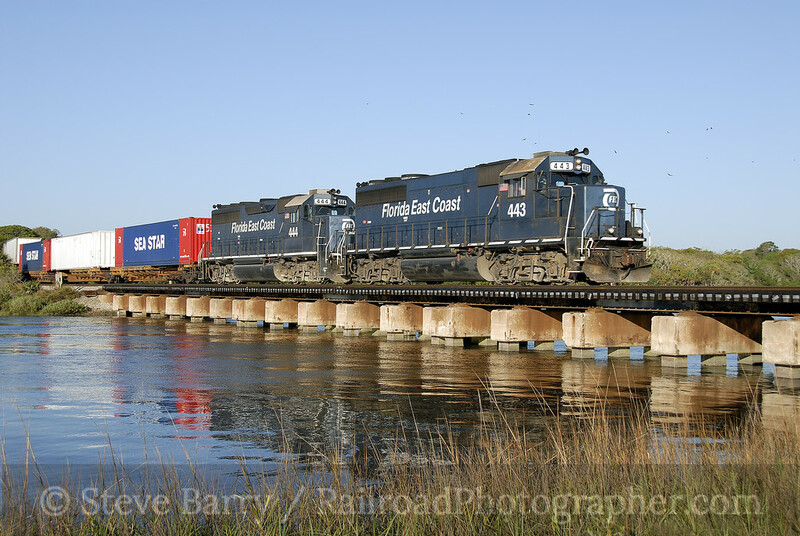 The FEC has plenty of photographic possibilities (when the rare daylight trains run) and Fort Lauderdale and more shooting at Stuart are high on my list of things to do. Sunshine State, here I come! 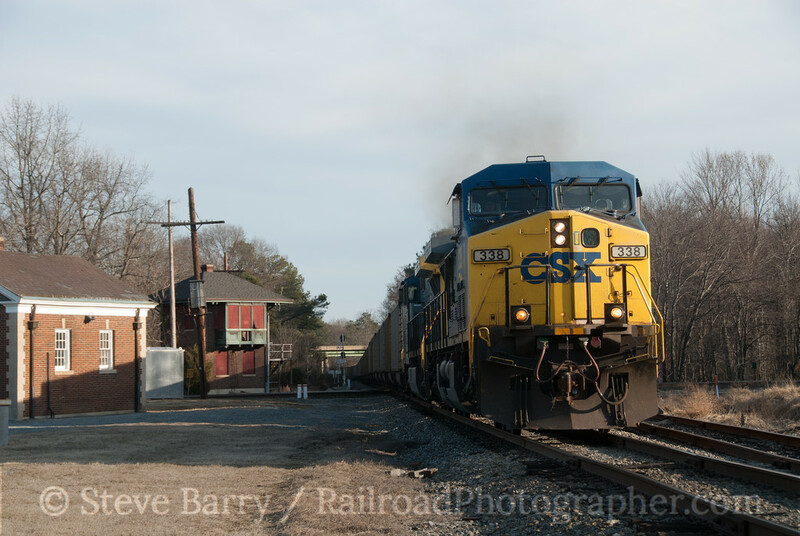 When it comes to train watching, it's hard to beat the Virginia towns of Ashland and Doswell along the former Richmond, Fredericksburg & Potomac (now a part of CSX Transportation). Located about 14 miles north of the state capitol, Ashland provides trackage running down the middle of the street in the business district and on into a nice residential area. Another six miles north, Doswell has a diamond where the former Chesapeake & Ohio crosses the RF&P, an old station and tower, and a short line yard (Buckingham Branch Railroad). I have been to both towns many times over the years, and recently had the chance to visit both twice within a week in January. Doswell has a country store called Squashapenny Junction that you really need to go inside to believe. It is just full of Americana. 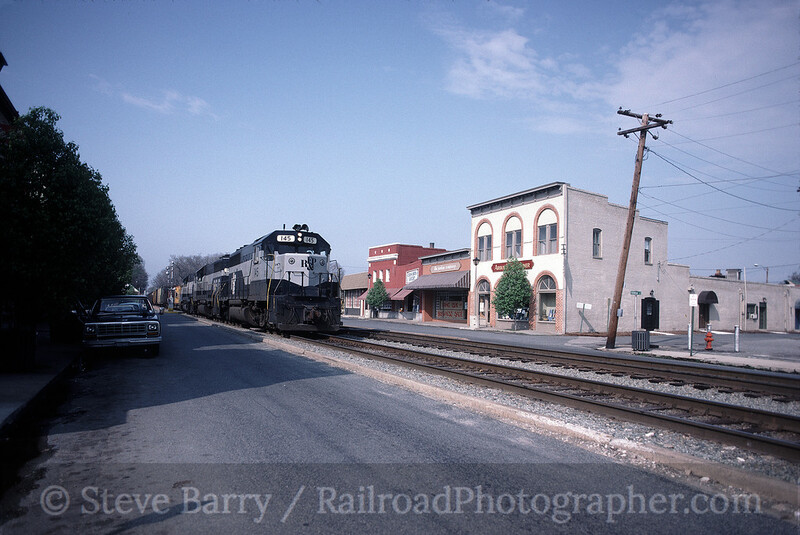 Back in the days before CSX, the building was simply the former Doswell general store in plain white paint. Today the store has numerous signs on it, most prominently the classic "Coke" circle logo, along with other signs of the past. The courtyard now features wagons and a giant hand. 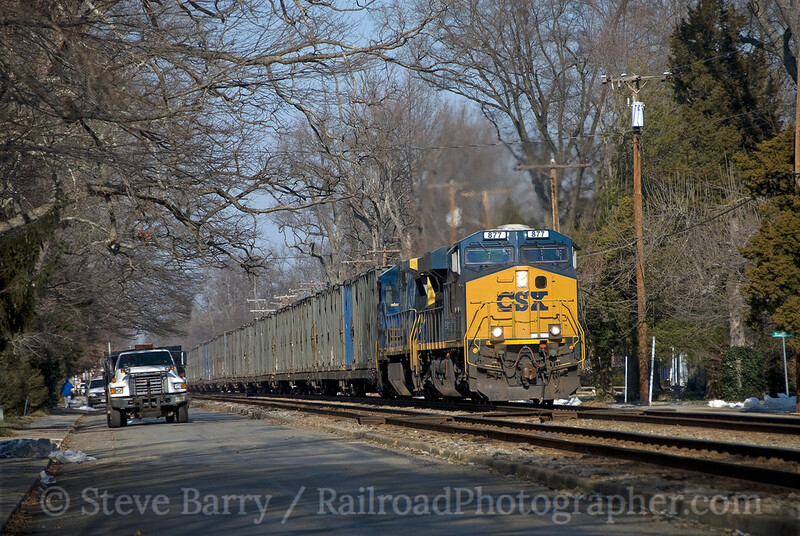 Coal trains on the former C&O through Doswell are fairly common, and if you are equipped with a railroad radio you will hear trains call the RF&P dispatcher to request clearance past the old tower and across the diamond. 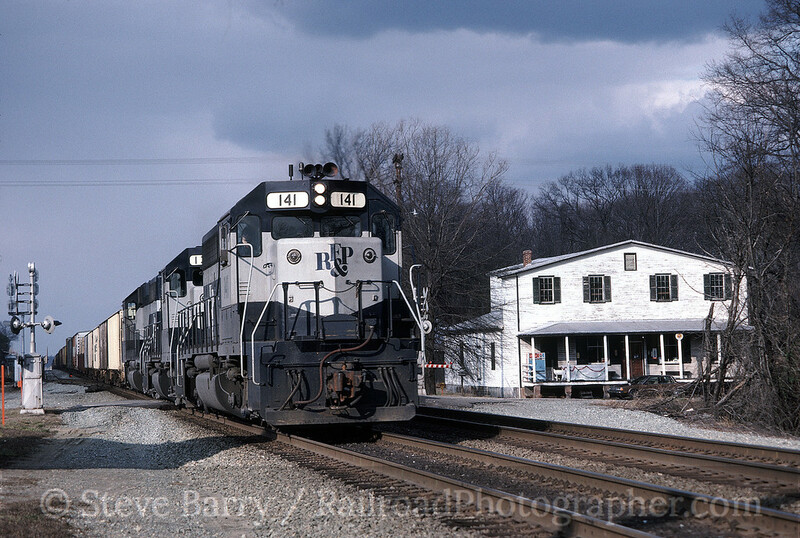 The Buckingham Branch yard is located adjacent to the RF&P main line just north of the diamond. 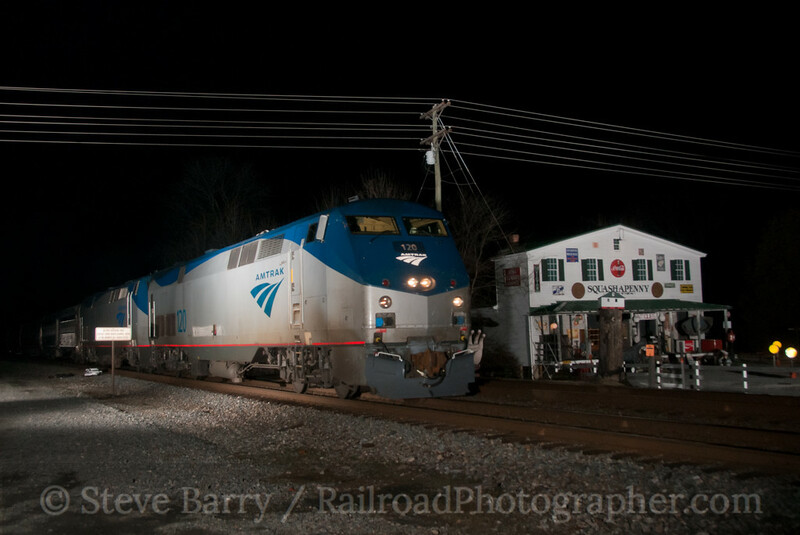 The Buckingham Branch now leases the former C&O. Their diesels have been given a uniform coat of gray and red paint and are looking pretty good. If your travels take you down I-95 below Washington, take the King's Dominion exit at Doswell and head on in to the tracks. Frequent Amtrak service makes train watching fun, even when freight trains are hard to find. When you are finished at Doswell, head south to Ashland for the best in small-town train watching in the middle of the street. 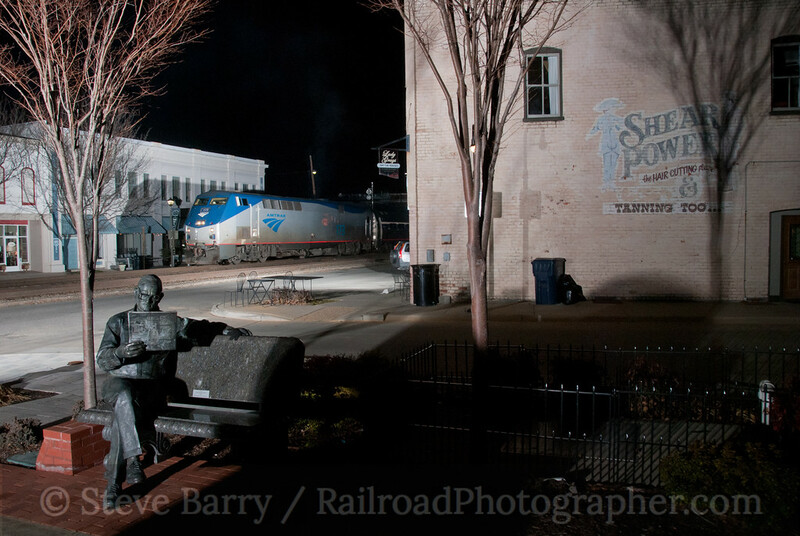 These are indeed two of the best towns to view trains in the east.